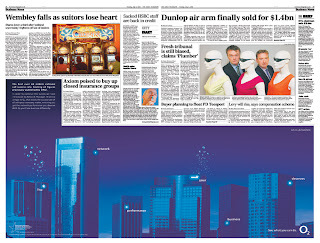 O2 promoted their 'Business Tariff' offer by advertising in national newspapers with a series of surprising ad placements. Innovative use of space in business sections maximised the impact of the creative whilst driving interest and awareness in the message. 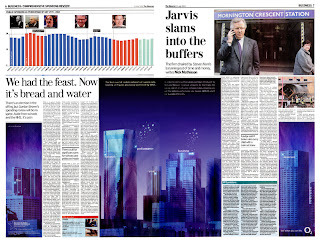 A series of impactful fractional ads in the business pages of national newspapers helped O2 alert current and potential customers to the benefits of their new 'Business Tariff'. 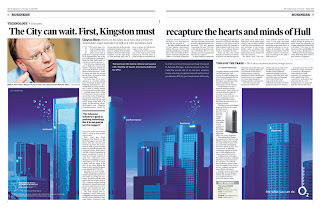 The creative use of single and double page spreads helped O2 drive awareness of both the service provider and the call tariff being offered to businesses. 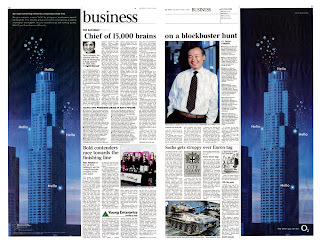 The media placement in several national newspaper business sections between 16 June and 25 July 2004 helped contextualise the message to a hard to reach business audience in a targeted and valuable way.